Good morning from Orange County everyone! 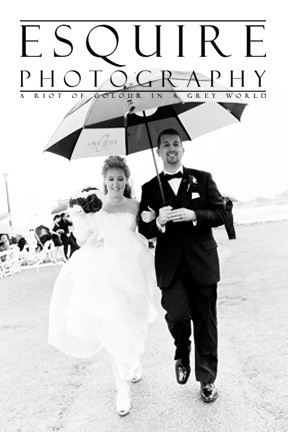 I’m a totally excited Wedding Photographer in Newport Beach and Huntington Beach right now! I wanted to take a break for a moment before my day gets started and I head out to shoot a party for one of my uber awesome couples; Monique & Cesar (who’s La Habra Wedding & Los Angeles Engagement Shoot I did for them back in 2008) to a share a note I received from Ashley & David about their Monterey Wedding I had the honour of photographing at The Hyatt Regency Monterey Hotel & Spa. I’m so sorry that it has taken us this long to write to you. We just wanted to express our deepest gratitude for making our wedding day run smoothly. With all of the “issues” we faced—you really made our day truly enjoyable. We are very glad to have had you and Katherine at our sides when we were saying our I-Do’s. With all of the last minute adjustments that had to be made—rain, reception, missing people and all; we knew that with you at the helm—our wedding day would be beautiful through photo. Through it all, you made the girls and I feel like princesses all day long, and we knew that we would look pretty in pictures—despite wet dresses and feet. Running around in the rain, and doing everything for us—really cemented the fact that we made the right decision in choosing Esquire Photography. While we knew after Pam and Dave’s Wedding that we would need to look no farther than you; after our wedding—you are no longer our wedding pap; you are a close, true friend. We look forward to our future shoots with you; and wish you all the prosperity in the world. I am really humbled with notes like this and my couples really inspire me to continue to be a wedding & portrait photographer from Newport Beach, Huntington Beach to Los Angeles, San Diego, London and more for nearly 30 years. If you’re wanting an awesome wedding photography experience like Ashley & David had for their Wedding and Engagement Shoot, and would like to get to know this Huntington Beach Wedding Photographer that loves fashion, photography and art, feel free to contact me anytime. I hope you’re having a terrific start to your weekend & stay tuned for so much more weddings, events and other portraits I’ve been photographing lately – cheers!